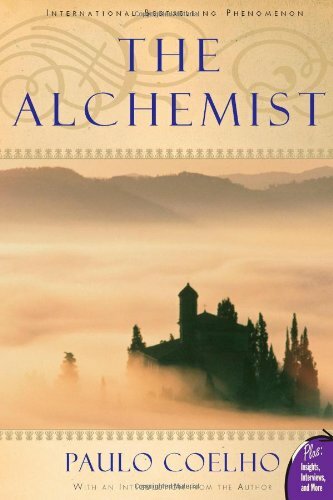 The Alchemist is one considered by many as a “must-read” though it may have an esoteric feeling for some. It certainly plays on a feeling of “there is something more in life” that you’ve forgotten and the thought that you are part of a bigger plan. As you follow Santiago, the shepherd boy on his adventure, you will automatically question your own adventure in life; are you living up to your higher purpose? Why have you forgotten your way? What else is out there that you should be doing? Have you betrayed what you were meant to do with your life? Santiago follows his dreams, which take him from Spain to Morocco and then Egypt, all in search of a special treasure. During his travels, he learns lessons from messengers that seem placed in his path at the right moment, just when he needs them. The author, Paulo Coelho, is a Brazilian writer who is admired globally and is considered one of the most influential authors of our times. I heard that Madonna loves him. I have read several of his books, but I think this is the best one. He has churned out quite a few more books in the last few years that I have not read yet, so it is certainly possible that he has outdone The Alchemist. A few of his books have been non-fiction and about his own life. From what I can piece together, Paulo is a member of a little-known Mystic Catholic sect which seeks after spiritual growth. They assign previously unknown international mentors to their members…older men who have attained a high degree of transcendent power (and worldly success?). I won’t even go into some of the weird stuff they do, but if you want to an idea, pick up “The Pilgrimage,” also by Coelho. Today I was reading an interview with Paulo, in which he talked about watching for “Omens” in your life that only you will recognize. It’s a language the “Universe” speaks to you through…like coincidences, songs, feelings, synchronicities. This is a theme he definitely speaks a lot about in The Alchemist. Some people complain the book is too simplistic; you would be stupid to believe there is some “plan” for your life that you should have followed; that you should wake up, take your head out of the “touchy-feely” clouds and get back to work. If you are prone to such thoughts, perhaps this book is not for you. However, if you enjoy waking up your soul from time to time, there is no better place to do it than in the clouds.